Premium Slush Syrups made with a water to syrup concentrate ratio of 6 to 1. Strawberry slush syrup by the case of 4x5 Ltrs, which will produce up to 700 slushy drinks. Made with British sugar. Mr Slush Syrups are high quality slush concentrates for use in slush machines, retaining its flavour and colour right down to the last drop. Made using 100% British sugar, we believe no other company manufactures higher quality slush syrups at such competitive prices. 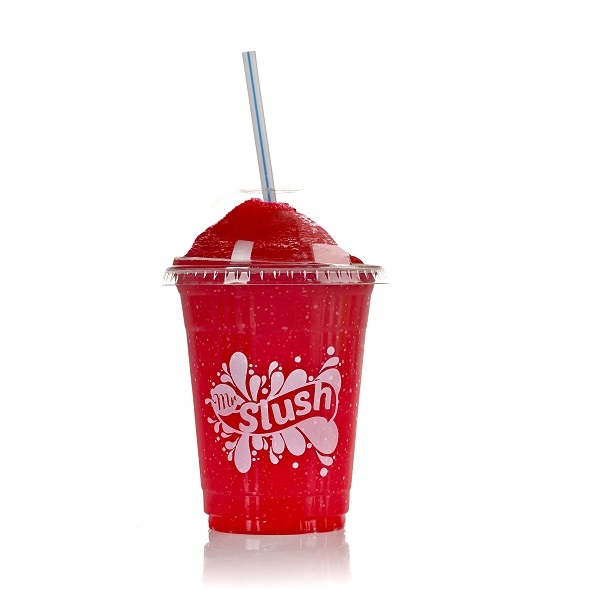 Each 7oz (200ml) slush drink costs just 8p or approx 13p including a slush cup and strawspoon. Plus our recent flavour additions include Sherbet Lemon, Mixed Fruit and Strawberry Lemonade.